Thea, Coen, and Nova have escaped from Achlys, only to find themselves imprisoned on a ship they thought was their ticket to safety. Now the nightmare they thought they’d left behind is about to be unleashed as an act of political warfare, putting the entire galaxy at risk. To prevent an interstellar catastrophe, they’ll have to harness the evil of the deadly Achlys contagion and deploy the only weapons they have left: themselves. 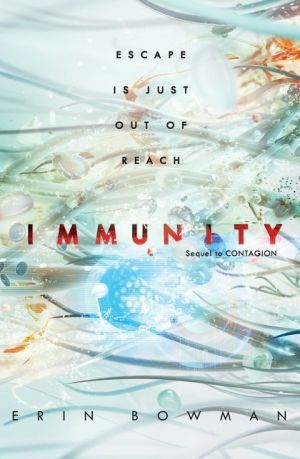 Fans of Jonathan Maberry, Rick Yancey, and Madeleine Roux will relish Bowman’s tense, high-stakes conclusion to the events of contagion.